This is the truth behind the contemporary political version of George Bernard Shaw’s “Pygmalion”… minus the charm and the love story. The video below and the research was magnificently pulled together by Mr. Reagan in a YouTube production. I could restate all the facts his investigation gathered: the names of those who “invented” the overnight sensation known as Alexandria Ocasio-Cortez, pull her strings, supply her political rhetoric, and tell her what to say, think, and do. But you just need to go to the YouTube video and decide for yourself. What Ocasio-Cortez lacks in brains and strategic political gravitas, her puppet-masters have in abundance. She provides the charisma and the cuteness; they deliver the agenda, the political machine, and the far left solutions to no where. It’s a marriage her socialist organizers hope to replicate many times over in order to take control of the Democrat Party, the House, the Senate and the White House by 2024. Mr. Reagan’s powerful YouTube presentation has garnered so much attention that the liberals are working overtime to discredit his well documented expose of Ocasio-Cortez’s handlers’ mission, tactics, and motives. SNOPES, the left wing fact-checker, has declared it to be “mostly false”. Yet, their politically motivated verdict is based more on wishful thinking than the facts. 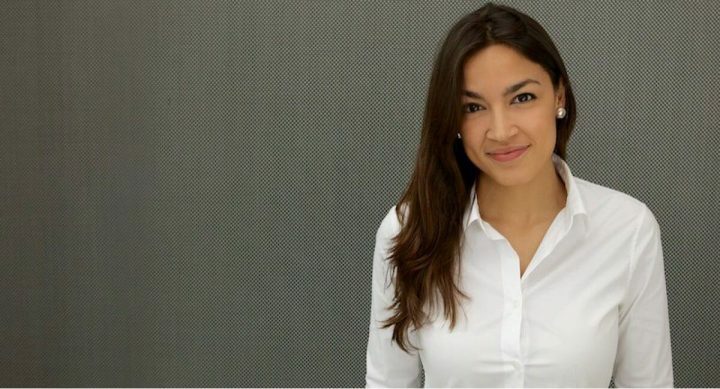 One thing Alexandria Ocasio-Cortez most definitely is not is a victim. But if this political formula to build an army of manufactured political Socialist superstars dancing to the tune of “behind the curtain” Machiavellian operatives succeeds, Nancy Pelosi and Chuck Schumer need to book one-way tickets home. And the swamp still continues….